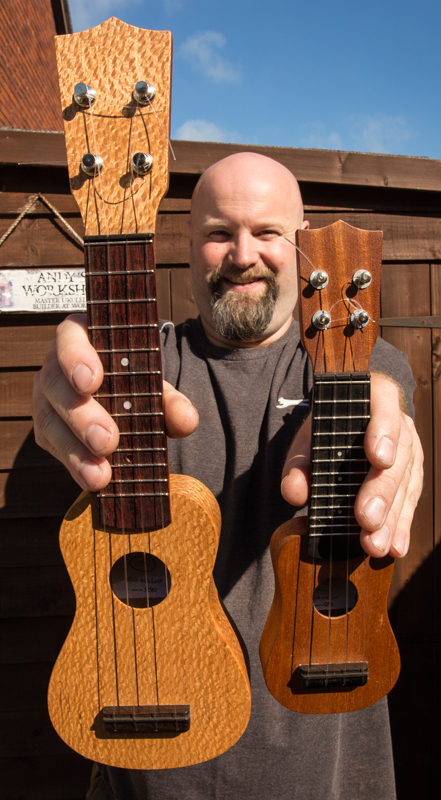 You may have heard of Andy who makes these incredible little ukuleles in two sizes currently - Piccolo and Nano. I bought a Nano from Andy at the Winchester Ukulele Festival, where we recorded this little interview. We have previously been to visit Andy in his workshop and made a review of one of his Piccolo ukes. At last! A cat sized ukulele!